Gioachino Rossini composed music at the blink of an eye. He boasted that he wrote “The Barber of Seville”, one of the greatest comic operas ever, in only 13 days. He wrote the overture to “The Thieving Magpie” the same day it opened on stage. What was his secret to lightning-fast creativity? Even if you never heard of Rossini, you’ve heard his music—His William Tell Overture, the soundtrack to anyone who is perpetually running late. It shows up in commercials, movies, and cartoons, but perhaps is best known at the theme to the Lone Ranger. Rossini would be a mega-billionaire many times over from the accumulation of royalty payments, if he were still alive. He churned out an average of four operas per year, some taking him less than two weeks to complete. Why am I so interested in Rossini? If you haven’t noticed, I’ve been creatively stuck—all you need to do is look at the date of the last blog entry to see that. Though I’m busy performing, My creative juices hit a dry spell. The inspiration to create can magically come to fore when a deadline looms, even when that deadline is self-imposed. Sure, it makes everyone around you go nuts, but sometimes it just takes a little bit of laziness to make the creativity percolate up. 2. Do something else. Get away from the task at hand. Take a break. The light of an idea will often come to me while I’m running errands, exercising, taking a shower, and chanting and meditating. A little scratch pad is right nearby for scribbling down sudden and fleeting thoughts (except for when I’m in the shower). Gazing at the movement of ocean waves and beach surf, and watching for shooting stars on a cloudless night, can also encourage ideas to pour into my mind. I don’t need to be right there—Armchair traveling via online videos does the same trick. I recently found this video of migrating monarch butterflies. Does it transport you into the creative zone? Rossini was known to compose music while chatting with friends. I even read somewhere that he came up with great ideas while soaking in the tub. He enjoyed cooking up culinary masterpieces and indulging in them, too, by the size of his girth. Perhaps some of his operatic brainstorms originated in the kitchen? John Rink, the professor of music performance studies at Cambridge University, concluded from his research study that musicians may be at their most creative apogee when they aren’t playing their instruments or singing. Those side activities could include humming, tapping on a table, whistling, and air conducting. Who knows? Maybe Rossini hummed to himself while creating a delectable recipe. 3. Recycle past works. Reinventing the wheel isn’t always necessary. Frequently requested audience favorites get pretty dull to play when I don’t look for new ways to spice them up by changing the tempo and dynamics, revamping the left hand accompaniment, or doing something else novel with it. (Lately, I experiment with abandoning typical arrangements for “Stairway to Heaven” , my most often-requested song). Even while writing these blog posts, I could take an old idea and give it a different twist instead of coming up with a brand new topic every time. Would you welcome that, or would you get bored? Rossini was a recycling genius. He freely plagiarized his own works. With last-minute deadlines looming, he probably found it easier to rescue old compositions instead of coming up with something brand new. Entire arias and overtures often appeared over and over again—His adoring fans didn’t seem to mind. 4. Embrace your weirdness. Take the time to welcome superstitions and creature comforts to settle into the mindset of creativeness. Am I superstitious when I perform for an audience? I need to be wearing lipstick and pretty shoes or I just don’t feel that I’m ready–I think this qualifies as a “Yes!”. When playing at home, I tune up the harp, even if it doesn’t particularly need it, because tuning is a ready signal, a kind of focused meditation, for getting down to the business of working at the harp. And maybe it’s a bit of wanting my practice to be right with the universe, too. Supporting my weirdness gives me permission to play the way I want to play, not the way everyone else plays. I’m opening the door for something new and exciting to happen. 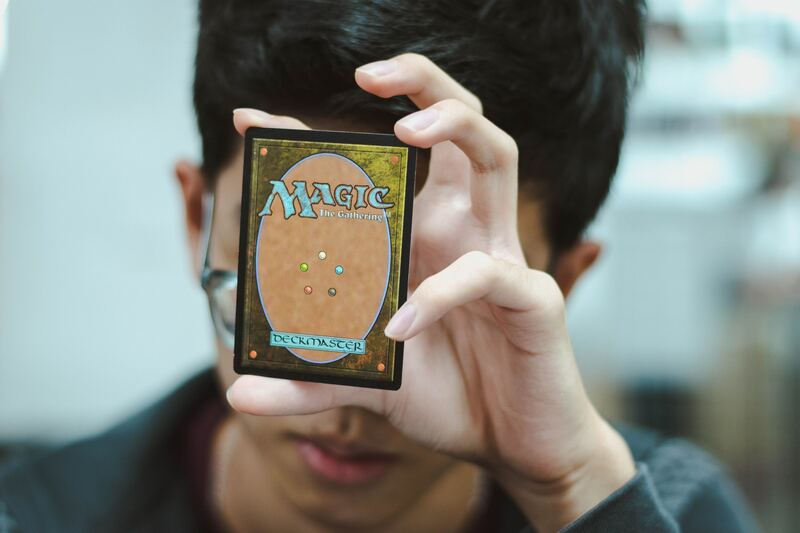 Not being “normal” and playing what’s expected means that I’m throwing caution to the wind to allow magic to happen. I’m not certain that Rossini was particularly superstitious, but Chopin certainly qualifies. He was a weirdo, even by his contemporary’s standards. For instance, he only played piano in the dark, whether in front of others or on his own. Was darkness the spark to his creativity, or was it an extension of his painful shyness? 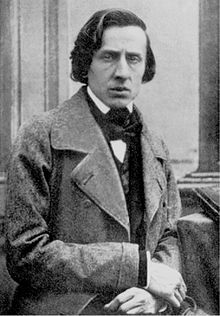 Ponder this as you listen to more weird facts about Chopin on the hilarious That Classical Podcast . 5. Make the world your studio. Take your instrument, your craft, to parts unknown. Gain inspiration from what happens around you. Animals and nature influence many composers. You can easily hear birds singing in Vivaldi’s Allegro from Spring. Some composers are even influenced by their pets: Domenico Scarlatti claimed that his cat invented the melody for his “Cat Fugue” by walking across the keys of his piano. 6. Release the constraints of time. Play at your favorite times of the day to invite creativity to flow. John Cleese, of Monty Python fame, identifies five factors for making room for more creativity in our lives. He’s all about allowing for enough time to come up with something original. The creative process of the Monty Python comedy troupe was strictly 9-5, ensuring that they stuck to their deadlines by honoring the amount of time they had for each other. I’m your typical night-owl musician. The magic almost always happens for me in the wee hours of the morning. I play until I’m exhausted, then upon waking up the next morning, the music is solidified. I’m convinced my ideas and polished performances ripen while I sleep. 7. Don’t take yourself so seriously. Your silly mess might be another person’s treasure. 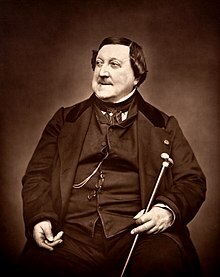 Rossini was famous for his good-natured sense of humor that endeared him to many other composers of his day, including Liszt, Chopin, and Paganini. Even Richard Wagner, the sort who only wrote the most serious of compositions, was bowled over by Rossini’s comic operas. 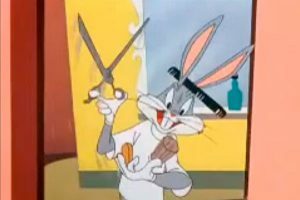 Beethoven once told Rossini to stick to comedy because anything else would “do violence to your nature.” No wonder Rossini’s most famous melodies ended up in Bugs Bunny cartoons . My arrangements of traditional tunes often came to me as an outgrowth of trying odd things on the harp and having a laugh with fellow musicians. There’s always something to make me smile—Like flutist Char Berta’s bunny slippers that she wore to mute the sound of her constantly tapping foot during recording sessions for “A Light in the Forest”, recording engineer Michael Eardley’s blissful conducting behind the studio glass, and David Blonski’s house walls filled with nesting squirrels that scrambled about during our rehearsals. These moments cut the tension and let me relax into a smooth, creative performance. Now it’s your turn to switch on your creative juices. I’m starting work on a holiday album with my good friend, flutist David Blonski. 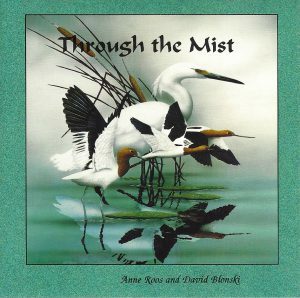 We collaborated together on my very first album venture, “Through the Mist” . Now we’re looking for holiday music that is in public domain (no one owns the copyright) as candidates for improvisation on our new album. We’re using our creative juices to determine the best tunes to string together for our instrumental improvisations of flute and harp duets. It’s the beautifully uncommon and unusual that we’re considering for our arrangements. List one usable holiday tune that is in public domain in the comment section below, and include your creative process that helped you come come up with the suggestion. Then, your choice of a free CD or album download of my harp music is yours! The comment section closes in two weeks, so bust a move and get it done. (Remember, deadlines are a part of creativity, according to Rossini.) And please no overused popular tunes , like Jingle Bells and Silent Night. David and I thank you for revving up your creativity for us! Besides suggesting titles for our upcoming album, you are also invited to contribute in a bigger way, by offering secure donation towards the success of this recording. We appreciate your generosity. Tagged as Anne Roos, download, harp CDs, mystery to creativity, Rossini, Stairway to Heaven. Great song, but it’s not in public domain (it’s written by Frank Loesser). Yeah, wish I could use “Santa Baby”, too. Just what I needed to read right now! Thanks, Anne! As just a general song without attached sentiment, I like “Carol of the Bells”- I have lots of versions and enjoy each. Hi KC! I knew you were familiar with holiday songs. I love “The Christmas Song”, too, but it’s not in public domain (written by Bob Wells and Mel Tormé). But “Carol of the Bells” definitely is, and we are actually working on our own version of it! I’ll shoot you and email and you can select your CD or album download. Thank you for commenting, KC! Btw- I think #3 & #7 are very important in my creativity. It’s nice to see them quantified. Thank you, KC. I think I use all of these, but it depends on the creative task at hand. For writing, #2 is very important to me, but the others chime in when it comes up to arranging and performing music. The Carol of the Bells? I saw three ships? As for the process, they just came to mind. But one option is to just start writing/playing/singing. Don’t think, just see where things go, and KEEP DOING IT. Eventually, something is liable to catch your attention. There should be an accent on the “ne” in the first title. I went to my International Book of Christmas Carols for inspiration. I like the idea of drawing from around the world for inspiration. Hi Kathryn! It is definitely our intention to draw from music around the world, and I’m particularly drawn to jolly Wassail songs…Looking for more than the standard Gloucestershire Wassail, though. Thank you for your suggestions and your inspiration! I’ll be in touch via email about your free harp album download/CD. Hi Ysia! I used a translator to read your comment, because I don’t speak French. I’m using a translator to respond, and I hope this makes sense to you: Je pense cette gestion de réseau sur Facebook et voir ce que d’autres écrivent des aides pour se débarasser des blocs de créativité, aussi. Avez-vous des suggestions pour les chansons de vacances (dans le public domain) ce serait bon sur l’harpe ? The Angel;s And The Shepherds is my suggestion. It reminds me of a special evening that brought much happiness! Thanks Ann for your blog! I loved your comments. Working hard on troublesome passages then sleeping works for me. “Joseph Dear, oh .Joseph mine” would be lovely with flute.. Not sure how old it is. I sang it in chorus about 60 years ago. Yep, there’s something magical about hitting the sack right after working on the harp. I think that’s why I like to work on the harp late at night when I have no interruptions and I’m taking the memory of practice to bed with me. I found it on hymnary.org after I typed in Christmas song, Joseph Dear, Joseph Mine. The site has the words and the music. There is also a version in the Ultimate Christmas Fake Book, pg. 125. written in the key of F.
The version that I sung from in a a choir was The Song of Christmas by Roy Ringwald published by Shawnee Press, Inx. Delaware Water Gap, Pennsylvania. I t was first performed by Fred Waring Dec. 25, 1945. This version was in 6 flats and a soprano Solo. I’ll look for a Youtube Fred Waring version. It is a German traditional song. Thank you, Joan, for supplying info about where I can find the tune! I’ll look it up. Mine is Angels and the Shepherds and Blessed Be That Maid Marie as both bring back wonderful memories! I am resubmitting this as I don’t know if it went through the first time or not. Thanks Anne …. love your blog! Got it this time, Mary! Lovely tunes…What was your creative process for coming up with these suggestions? Are they simply favorites that you instantly thought of? Hi Anne, there is a German Christmas song called Joseph lieber Joseph mein that is definitely public domain and would lend itself well for some improvisation. Good luck with your CD. Hi Annette! Thank you for the vote of confidence for my upcoming CD (we’ll be working on it for a year or so before it is released and are just starting rehearsals). Is this song the same song that Joan mentioned above? If so, could you send along a link to it online for me? What was your creative process for coming up with this suggestion? “In The Bleak Midwinter” and “Carol Of The Birds” (a French carol) are two of my favorite holiday tunes along with “In The Window” (Hanukkah). My creative process includes several minutes of a breathing exercise (breath in to the count of 5 through the nose, hold for 7 seconds and breath out for 10-12 seconds). This clears my head and provides a clearer focus for me to allow a question to be asked and answers to (hopefully!) flow. If I’m working on an arrangement or composition, I can find myself humming – also enhances my centering. Great idea for getting centered for creativity, Margie! I’ll send along an email with directions for receiving your free harp CD/album download! Several people above have already suggested “Carol of the Bells”, and we’re actually working on our version of it. We left “in the Bleak Midwinter” by the waste side–Not happy enough for our tastes. I don’t know “in the Window”–Is it in public domain? Can you send along a link to it? Thank you Anne for the CD, Anne! I am talking about “Carol Of The Birds,” not “Carol Of The Bells.” “Carol Of The Birds” is a French carol. Does this link work to bring you to the music for In The Window? If not, I can scan and send you a sheet. Cool! Thank you, Margie! Two new tunes that I haven’t heard…Can’t wait to give them a try. Well put together. When I listen to it, it always puts me in another place and makes me want to sit at my harp and join in. I would say it inspires creativity for me. In response to how I came up with these choices, it is simply that I envisioned the times I’ve meditated to this album. I think hearing music in a language I do not understand quiets my mind a bit. The other thing that helps my creativity is a good night’s sleep. My best ideas come to me in the early morning, just as I am waking up! Hi Allison! Once in David’s Royal City is a great suggestion! And thank you for your suggestion for creative inspiration, too! I’ll send along an email with instructions on receiving your free harp CD/download. One of the things I avoid doing is listening to other harpists and harpers for inspiration–The last thing I want to do is duplicate anything they have done, even unintentionally. I’ll listen to all other instrumental adaptations for inspiration, but not harp. So, I’m not familiar with the medleys you speak of and will not turn to them for this project. I’m so glad you found my article useful. Thank you for your great comments! Thanks for the blog! May I suggest the French carol, Noel Nouvelet? It’s also an Easter hymn, “Now the Green Blade Riseth.” Or the Hebridean Scottish “Christ Child Lullaby /Taladh Chriosda” (Yes, it was composed in the 19th Century, but I think it’s in public domain. On the subject of creativity: I find I get a tune in my head in the shower…and sometimes, as a writer, get ideas while doing housework, like washing dishes by hand, or sometimes in dreams, which is where the openings of two novels came from., or an image. One time, I decided I wanted to write a chapter for my Scottish Western about my characters doing laundry on an 1870s ranch; that caused me to do some research on historic ways to do laundry. That gave me the idea for a fan fiction story set in my corner of Tolkien’s Middle-earth about a laundry maid–which in turn led to a story about the maid’s cousin/best friend, and *that* led to two short stories about the cousin’s brother and another novel I’m working on….Recently, I wrote a poem from the viewpoint of one of the children separated from family at our border…and to my surprise, found myself writing three more, two from the POV of other family members and 1 of a social worker. now I’m trying to decide whether they are a suite of 4 poems,or one poem in four voices–and where i can read them,since I’m a spoken word performer. And as a traditional Celtic storyteller, I’m always finding new, unexpected, ways a story will fit different programs. Interesting way to get ideas–While doing housework. I’ve always got a good radio talk show on while doing housework, so inspiration doesn’t come to me then. And I rarely dream of new music, but I’ve known many musicians who do. I am very familiar with Christ Child Lullaby, but I’ve not heard of Now the Green Blade Riseth. Could you send along an online link to it for me? Oh, Caroline Peyton is a vocalist. I don’t think there is harp On this cd at all, but I completely understand why you wouldn’t listen to another harpist or other musician before recording. Absolutely! Allison beat me to the punch with Once in Royal David’s City and Balloo Lammy. My favorite combo is the Bowie/Crosby duet of Little Drummer Boy and Peace on Earth. Hi Jan! Do you have any other suggestions? We may use Little Drummer Boy, as David also plays percussion. What was your creative process for coming up with these suggestions? I’m not so much the creative type in music, but I love the intertwining of Little Drummer Boy and Peace on Earth – genius combo! How do you blend two tunes together like that? Although the other day I was listening in my head to two songs I’ve been practicing, Denise Young’s You were always there (piano), and On Wings of Song by Mendelssohn (harp), and somehow one just moved into the other. Wish I could repeat that blend! Hi Jan! Those two tunes were already suggested (see above), and we may work in a version of Little Drummer Boy, since David Blonski is also a percussionist. Not even thinking about medleys until after we have our songs selected! So, you must get creative in other endeavors, even if not in music–How do you get your creative juices going? Hi, Ann. Here are a couple of old tunes. ‘There is no Rose’ does have accidentals, but the other songs shouldn’t have them. These should all be in the public domain, and arranging and improv would be easy for these tunes. Some have nice imagery that might also encourage the creative impulse. Sometimes just reading the lyrics of one song leads me to another song, and sometimes playing the tune leads to either playing a variation or finding another tune for pairing. I definately like the early tunes, they aren’t played quite as much. And, there are so many tunes from which to choose! I look forward to your holiday CD!